The consumers' interaction with brands is today spread over a multitude of different platforms. The customer experience which you create across your channels is consequently of great importance for the customers' association with your brand and whether they will recommend your company and products to others. But how do you create customer experiences which attract and involve your customers and increase the loyalty and knowledge of your brand? At the world’s largest retail conference ‘NRF Retail’s BIG Show’ in New York, it became obvious that one of the very large trends within the retail industry is the integration of 'hang outs' and 'cross industry' in the physical shops. This simply means that more and more retailers are starting to create involving brand communities in their shops where elements from other industries are integrated to create unique customer experiences. It is through these involving customer experiences that they strengthen the customers' sense of belonging to their brand and products. There is therefore a lot of value to be obtained for you e-sellers and retailers by adopting this trend and focus on creating a unique customer experience in your physical shops. New York oozes of inspiring examples of how you can use community and the cross industry mindset to create unique customer experiences. One of the brands that has been able to create a very special universe is the American clothing brand American Eagle. With a sharp view of their primary target group, the 15-25-year-old consumer, they have designed their Flagship Store with a ‘laundry wall’. Here students can launder their clothes for free. 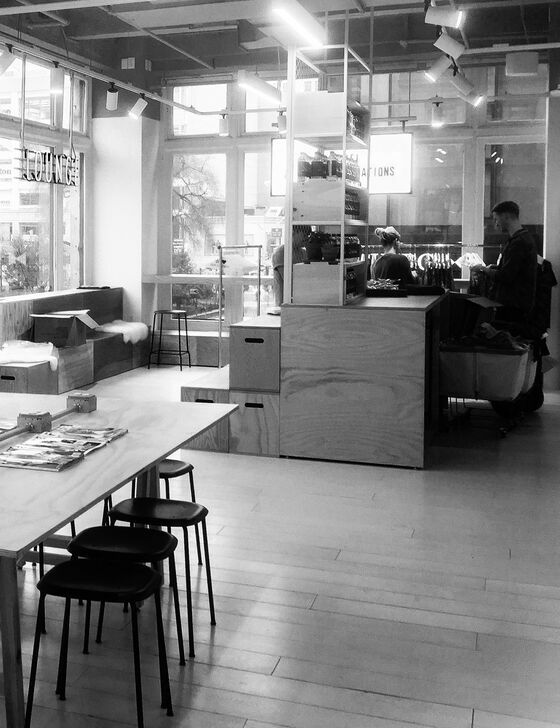 While they wait for the laundry, they can enjoy a fee cup of coffee in the lounge area or visit the ‘maker’s shop’ which is a creative corner where they can personalise their jeans with patches for example. By integrating elements from other brands, American Eagle has created some exceptional surroundings where the customers can relax, feel at home and engage in their own style. In other words, they are able to give the customers a quite unique brand experience and a homely sense of belonging to the store – and thereby also to the brand. The finishing touch in the unique American Eagle experience is that they have also integrated a number of exciting digital features. 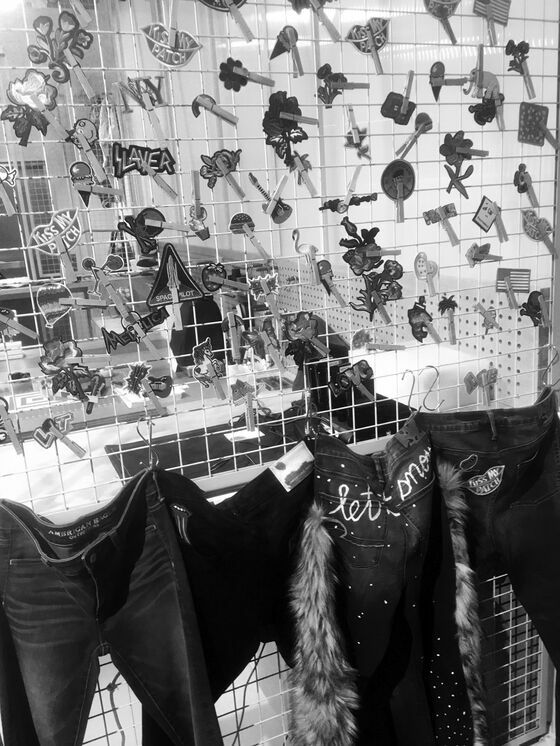 In the shop’s ‘jeans gallery’, they have placed screens showing videos of the various kinds of jeans so the customers can easily find the perfect fit and via iPads in the fitting room, the customers can check whether a pair of jeans is in stock in a different size. Last, but not least, the individual customer can jump the queue and be served by the staff directly on the floor via mobile POS. By integrating the digital features, American Eagle creates an effortless shopping experience which makes the customers want to return. Another interesting brand that has successfully created a unique customer experience in the physical store, is the online beauty retailer Glossier. In 2018, Glossier opened its first Flagship Store in New York which, based on the brand’s basic philosophy that beauty should be fun and personal, is designed as a huge ‘beauty lab’. 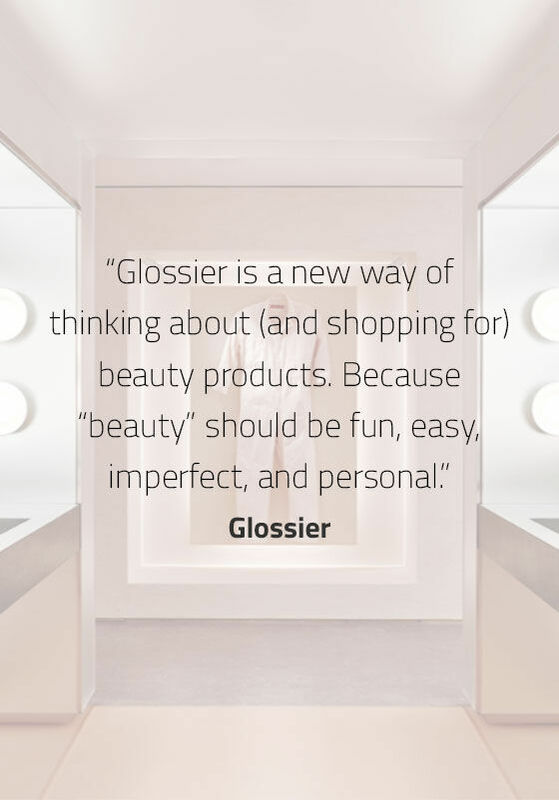 The store is therefore divided into various rooms which in different ways invite the customers to explore and try out Glossier’s many beauty products. Among other things, they have designed a "wet room” which is filled with skin care products for the customers to test. In this way, Glossier has created the framework for strengthening the customers’ relation to the brand and the products through fun and experimental play in the store. Another central element in the store is the consistent aesthetic look where almost everything from floor to ceiling is painted in a dusty pink colour. This creates a very unique and Instagram friendly visual experience which invites the customers to share pictures of their visits to the store on the social media. In addition, Glossier has also dedicated an entire room for its bestseller brow gel, Boy Brow, designed with mirrors from floor to ceiling and oversize versions of Boy Brow – perfect for play and selfies. 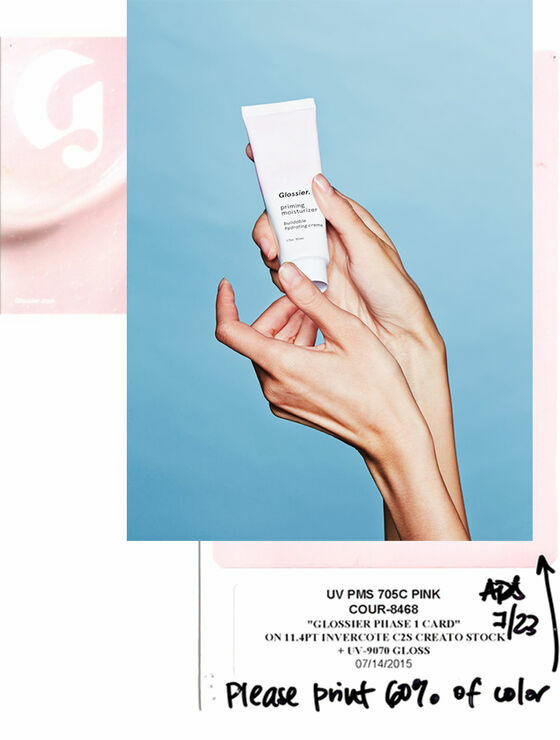 In this way, Glossier has created a different playground for its customers which, like the pink colour, invites the customers to spread the knowledge of the Glossier brand through posts on the social media. Are you interested in hearing more about how you can create unique customer experiences by means of hang outs and cross industry? We would like to invite you for a cup of coffee or we can visit you for a non-binding talk.